Bed Bath & Beyond (BB&B) customers were spoiled for years due to the company's generous return policy. In the past, the company accepted returns without proof of purchase. This was perhaps the most abused rule and many industry experts believe it's the reason for the return policy changes. The most important change to the new Bed Bath & Beyond return policy is how customers receive a full refund. There are a few reasonable stipulations for receiving a full refund on returned items. To receive a full refund you need either the original receipt or packing slip when returning in-store. You also need to provide "a government issued ID". This ensures that if you lose the merchandise credit, BB&B can look it up and verify that you're who you say you are and reissue the credit to you. Items received by truck have a specific return procedure. If you don't have the receipt and purchased the item within the last year, you can see if BB&B can find the item via other means (payment received, tracking numbers, and so on). However, if BB&B can't find the item's purchasing information, then you will only receive 80% of the current price as a credit or part of exchange. Returns can be made at any nationwide Bed Bath & Beyond store and you can also return items to the Returns Processing Center. Returns can either be exchanged or refunded for the amount you paid. Refunds are made as credit to your credit card or cash. Paypal purchases are refunded as merchandise credit. Depending on the situation, you have several online return options. If you purchased merchandise through the Reserve Online Pay In Store option, you'll return the items to the store for a refund. Online purchases delivered to your home can be returned/refunded through a BB&B store. Each order also includes a return postage label you can use to send it to the Returns Processing Center (typically via FedEx or USPS). Online Paypal purchases are refunded to Paypal. Credit and debit cards used for purchases are credited for refunds. Truck deliveries are handled differently. Truck deliveries are available with four shipping services that include, curbside, threshold, room of choice and white glove. There are also specific protocols that must be followed to guarantee truck delivery returns. These deliveries aren't to be confused with parcel deliveries. Truck deliveries are identified as such on the website with delivery service options. Everything hinges on you or someone else (must be 18 years old) being there to sign for and accept the truck delivery. Another requirement is to inspect the merchandise while the delivery person is still there. If you miss the delivery truck, you'll be responsible for the shipping and storage fees. You'll also be responsible for any vendor charges that can include restocking and/or cancellation fees. If you find any damage or defects, make note on the delivery form by writing "Package Damaged". You will then call the company to report the damage/defect and given instructions for returning it and receiving a refund or replacement. Follow these tips to get any refunds from a truck delivery that were not immediately noted. 48 hours: From the time of delivery you have 48 hours to report any missing or damaged parts. You'll be sent replacement parts at no cost to you. First 30 days: Merchandise must be in original condition. Call to schedule a pickup. Customer will pay all shipping, storage and vendor fees. After 30 days: No returns accepted. Customer should contact manufacturer. 24 hours: There's no fee for orders cancelled within 24 hours of purchasing. After 24 hours but prior to shipper contacted: You will be charged a restocking fee that can be up to 20% of the purchase price. All other cancellations: You will pay a restocking fee (up to 20% of purchase price) and the return freight cost. Some items can be returned under specific conditions. Breast pumps: Only unopened beast pumps can be returned and must be accompanied with proof of purchase (receipt or packing slip). Baby clothing and Destination Maternity items: All tags must be intact and you must provide proof of purchase. If you return merchandise more than 90 days after a purchase, you'll receive credit based on the current price, not the price you were charged at the time of purchase. Adult size mattresses: Mattresses are not returnable. You have a onetime exchange-only option up to 120 days after delivery. Original purchase price is applied to any exchange made. Adult mattress exchange fees: Customers pay return shipping charges and original shipping charges. You'll also be responsible for any vendor surcharges and new mattress shipping charges. Most items can be returned, but there are a few exceptions. The only exception to this policy rule is a manufacturer defect. Shipping, delivery, or assembly charges: For example, if you ship an item back that had one of these charges, you won't be reimbursed for the cost. Gift cards: For example, you cannot take a gift card to the store and receive the cash value. Custom-made or special orders: For example, if you order customized blinds or shades, they cannot be returned for a refund or exchange, unless defective. Monogrammed or personalized items: For example, if you ordered a bathrobe and had it monogrammed, this item is non-returnable unless there's a manufacturer defect. Bed Bath & Beyond's previous return policy was so forgiving that customers could return anything at anytime. This may have impacted the profit margins for the company. 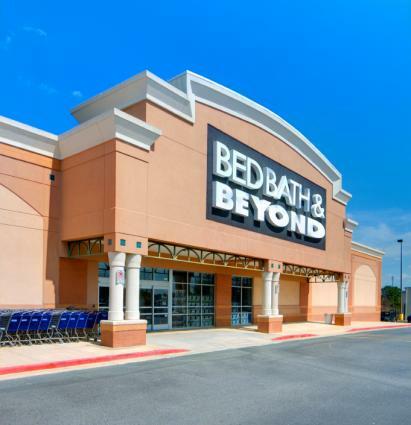 According to The Motley Fool, Bed Bath & Beyond earnings dropped 30% during the first quarter of 2014. MarketReport reported that in 2015 BB&B reported earnings/profits losses with market shares dopping as much as 37.2% . BB&B took steps to become more competitive to stop the loss of revenue. Still, in a February 2015 article, Racked conducted an extensive report on the company's success and examined its return policy. Racked pointed out several significant details about what had propelled the company to becoming an "800-pound gorilla". BB&B's past return policy clearly helped create an extremely loyal customer base. Racked analyzed the possible reasons BB&B had been so successful. Expiration dates were generally ignored by the store on the 20% off coupons and redeemed whenever customers presented them. Assumption that store credit for returns stimulated the purchase of more costly or more items. Customers paying full price instead of sale/coupon outnumber returned merchandise customers. BB&B is known within the industry as "notoriously aggressive" negotiators with their vendors/suppliers giving concessions, such as returned merchandise receiving full or partial credit from vendors to BB&B. Bed Bath & Beyond's former generous return policy hasn't been a happy change for many customers. With the new policy, customers have quickly learned they now need proof of purchase to return merchandise and items without a proof of purchase won't receive the full amount.